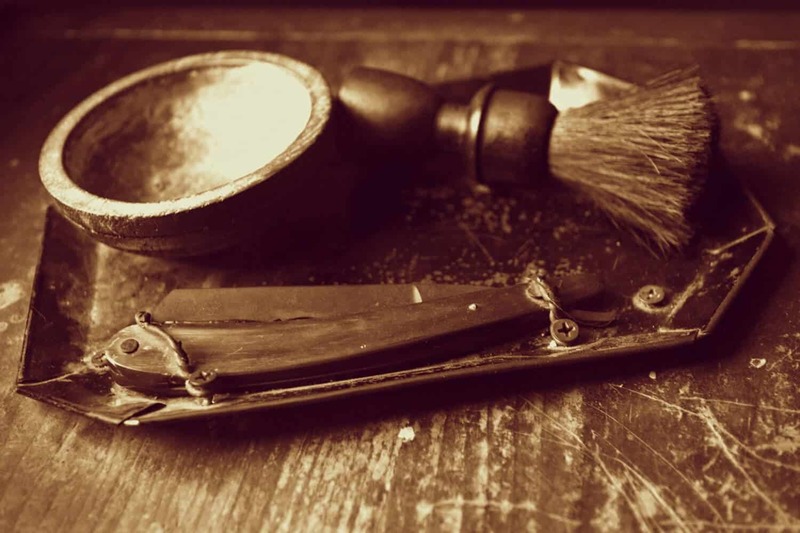 How to Shave with a Straight Razor Like Your Grandpa! Is it hard to shave with a straight razor? As a barber, I get that question a lot. The short answer is, yes, it is hard to shave with a traditional straight edge. If you want to learn how to shave with a straight razor then you need to be prepared to deal with some cuts and nicks for a while before you get the hang of it. But, like anything that is worth doing, your patience will pay off when you do master the art of shaving with vintage straight razors. What is involved in learning? You’ll need to learn how to sharpen a straight razor, how to strop one and how to hold one. 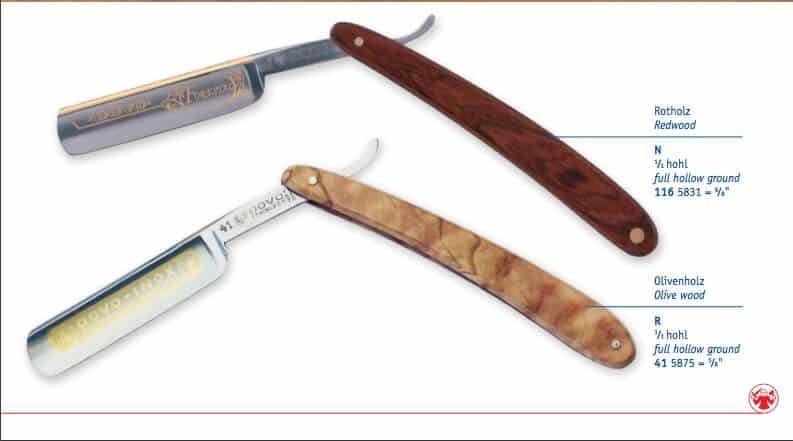 In this article I will teach you some basics when it comes to learning how to shave with a straight razor like this Dovo from Amazon.com and also give some advice on whether you should attempt to restore vintage straight razors. Is it worth it to restore vintage straight razors? Before we get into the how to shave with a straight razor guide, let’s go over this subject as I also get asked this a lot in the shop. Everybody loves a classic. And restoring an old dilapidated junker back to its former glory is something that a lot of people are very interested in. Whether we are talking about that 57 Thunderbird sitting in your grandfather’s garage for decades or that straight edge cut throat blade you found at a yard sale. Should you restore those vintage straight razors? In many cases I would say it is not worth it unless you are looking to restore a razor that has been in the family for a long time. Since restoration can cost upwards of $100, it doesn’t really make financial sense when you can buy a new one that is handcrafted and in ideal shaving condition. For the sake of nostalgia, then I say go for it. It does depend on the condition of the blade though and also if you plan to display it or shave with it. Here are some things to look for in vintage straight razors to determine if they are salvageable enough to shave with. If your blade is covered mostly with rust then it is a sure bet that it is not going to restore. You may be able to get some shine on it to display but it is very likely you will not be using it to shave. Of course there will be some rust on your blade or other parts of the razor. So how do you know if it is too rusty? Look for the color of the rust. If it is a deep red then it has been rusting for a while and is still active. This may mean some serious pock marks under that rust that have damaged the blade, or will have to be ground down considerably which may not make it worth shaving with. If the rust is black, then the oxidation process has finished and it is not continuing to deteriorate. It still may be very damaged underneath, but this is a sign that it is probably salvageable. How much rust and where it is will play a big part in whether it is restorable. If the rust is focused on the edge then it will need a lot of grinding. Straight razor sharpening on a full hollow grind blade will take quite a bit of the blade off. Even then, if the rust is along the face of the blade then there may be some pitting that will not be able to be honed out. This is something that is a total no go if you plan to shave with it. If you are looking to display it because if has some classic etching on the face, well, most sharpening of the rust on the face will remove that. If the rust is very heavy on the tang and shank, then the pin may be weak and not going to last long if you plan to use it. If the scales need to be removed or replace, you may find the pin won’t be able to be put back because of the condition. Even if you know how to sharpen a straight razor, that doesn’t mean you should be able to restore your vintage straight razors yourself. It isn’t just about straight razor sharpening, it is understanding how a straight razor works and getting it in usable condition again. Whether you decided to restore those vintage straight razors that your grandfather gave you, or you went and bought a good straight edge, you’ll need to learn the art of straight razor sharpening before you learn how to shave with a straight razor. NB: If you did buy one, it may be shave ready out of the box so you won’t need to hone it for quite a while. You may need to strop it before using. Using a straight edge takes dedication and learning how to straighten a straight razor takes a lot of patience. 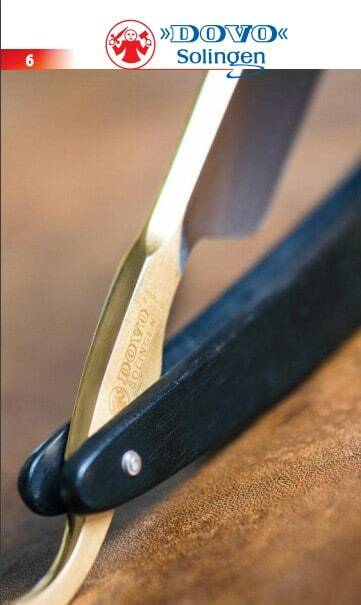 It may look easy to do, but it will take some time to master straight razor sharpening. So here are some steps for straight razor sharpening to give you a clean, close and, most importantly, safe shave. Whetstone from Amazon.com. Preferably a 4000/8000 grit stone. Leather and canvas strop from Amazon.com. To start with, if you got a water whetstone specifically for straight razor sharpening, you’ll want to soak it in water for about 15 minutes so the water penetrates into the porous surface. Once you have it soaked, turn it to the rougher grit side. In the case of the one I linked to, it will be the 4000 grit side. If you didn’t pick that one up, make sure the width of the whetstone is at least 3 inches. This will make it easier to do the proper form since you won’t need to do an X shape as you move it. Place the face of the blade down on the stone with the spine, or back, of the razor against the stone also. Lightly press down with the tips of your fingers against the spine. Then, slowly push the blade away from you so the edge is in front and the spine behind. You want the edge going forward. Once you reach the end of the blade, pivot it over with the spine away from you and the edge of the blade facing you and draw it towards you. Do this about ten times to avoid over sharpening. If you over sharpen, the edge can end up being brittle and uneven which can lead to cuts. Turn the stone over and repeat the process on the finer grit side. Now, just use a towel to gently dry the razor after you’re done straight razor sharpening. It’s a common misconception that stropping a blade is straight razor sharpening. This is not accurate. What you are doing is smoothing the edge and straightening it. When you use a whetstone to hone the blade, the grit can leave microscopic scratches that end up being like serrations. Stropping will remove those serrations and leave the edge very smooth. When to use a stropping paste? There are a couple of kinds of cream for your strop. Abrasive and non abrasive. Only use an abrasive cream when you are already experienced with honing and stropping as you may damage the blade and give you a very uncomfortable shave. The non abrasive should be used to keep your leather from cracking. You don’t need to use a non abrasive cream before stropping. Follow the directions of the cream you end up using. Holding the leather side up, hook your strop to a drawer handle and pull it tight. Place the razor on the bottom with the spin side up. With a gentle stroke, pull the razor towards you with the edge of the blade facing the opposite direction. It should be the spine the faces the direction you pull the razor. When you get to the top, flip and go down. Do this maybe six to eight times. If you have just honed your blade, you’ll want to start off with the canvas side. This rougher side will remove any material that may be lingering from the honing process. It also lightly heats the blade making it easier to strop on the leather side. It does not matter how sharp your blade is. You can be a master at straight razor sharpening but if you don’t have the wet shave down, then you don’t actually know how to shave with a straight razor. Prepping your face is just as important as sharpening your blade and using the proper shave technique. You can read a full article about the perfect wet shave here, but here is a brief primer on what it takes to do a wet shave. 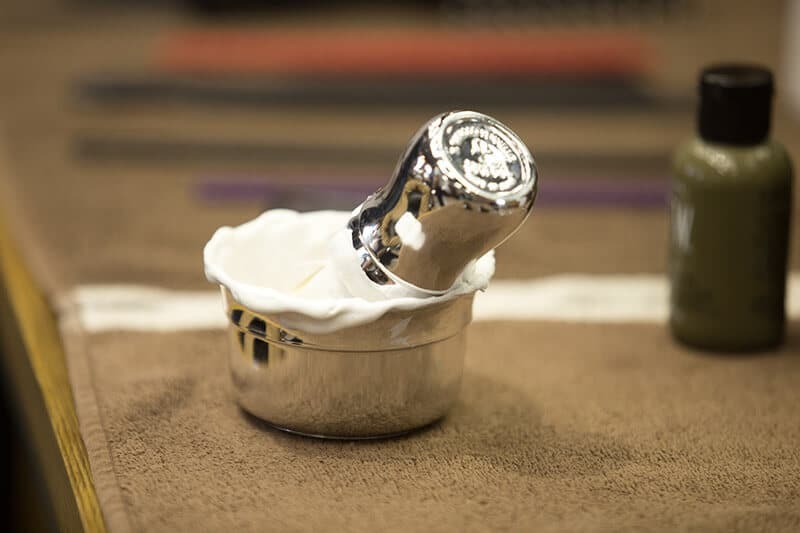 Heat and water are the two most important ingredients to a close shave. You’ll want your skin plump and hydrated so the razor can get under that top layer of skin to cut the hair as close to the root as possible. And the softer the facial hair is, the easier it is for the razor to cut it. This means less drag which will result in a more comfortable shave. To get your face wet and hot, take a towel and soak it in your bathroom sink filled with piping hot water. Take a shower so your face is already nice and steamed. Then take the towel out of the water and squeeze it out. Don’t squeeze it dry or leave it dripping. Place the towel on your face until it feels cool. While the towel is soaking, you should be making your lather with the shaving brush. You can read a guide on the best shaving brushes here if you want to learn more about what makes a good one. Let your brush soak in the hot water for a couple of minutes to charge the hairs with some hot water. Then squeeze out most of the water and drop your soap into the bowl. Whip up a lather with the brush by rotating it vigorously in the bowl. If it seems like you aren’t getting much of a cream, or it seems a bit dry, dip the brush in some hot water. Starting with under your chin, put the brush right up against the skin and use a rotating motion to get the lather going. Don’t move it around your face just yet. Keep going until the lather is getting really thick and then move along the neck. Grab some of the lather with the brush and then do the same thing on the cheeks. Occasionally dip the brush in some water to soak the skin. The key to remember is that you’re not just trying to lubricate the skin. That’s what shaving creams out of a can do. You’re trying to get water into the skin and hair. You’re trying to lift the hair off of the face so it’s easier to cut. And, you’re trying to gently exfoliate so you can get closer to the base of the follicle. Once you are lathered up, it’s time to start shaving. There are a few things to keep in mind to make sure this is as safe and as comfortable an experience as it can be. One, is to remember that the razor should not ever drag. Your skin should always be pulled tight so the razor doesn’t stick. If it does, you’re looking at a pretty good cut. Another is that you want the weight of the razor to allow the blade to do its work. You shouldn’t ever need to put pressure on the blade to get it close. The best straight razors are perfectly balanced and have the right amount of weight that allows the action to happen on its own. Lastly, the angle of the blade will determine how aggressive the shape feels against your skin. 30° is the ideal. Less than that and you won’t be shaving the hair off enough and the spine of the razor will drag against your skin. This is dangerous because then you will be tempted to push it along. Then you’re looking at a cut once again. Too high an angle and the blade doesn’t glide against the skin. It starts pulling the hair rather than cut it and it rubs against the skin causing irritation. Before you put the blade to your skin, take a look at it from the side so you can see the profile of the blade. Hold it perpendicular to the floor. Now, turn it slightly with the edge of the blade staying in one spot with the spine moving out to create an angle. 30° might not be an obvious thing, but you’ll kind of be able to see how it would act once it’s against the skin. Then just keep it at that angle and put it to your face. Before you make your first stroke, push your thumb up against your sideburns and push up so your skin is taut. Not every stroke is going to be in this exact spot, however, so make sure that you always plan where to grab the skin with your free hand and push it up or pull it is you are able to pinch. If you can’t make a pinch then use your thumb to push the skin up. Leave enough dry area above where you plan to shave so that you can get a nice grip on the skin. Otherwise your thumb will slide. You may be tempted to start right under your sideburn and do a long stroke all the way down to the jaw. Try to avoid this. Instead, use short strokes around an inch in length. This way you can avoid the blade dragging on an area that might not be as tight as you think it is. Once you complete the stroke, you will have a dry spot where you shaved. Place your thumb there and push upwards again so you have your skin as tight as it can get. Once you get to the jawline, then move over and keep repeating until you get to the mustache. Then you’ll want to life the nose up and make even shorter strokes on the upper lip. For this first pass always go with the direction of the hair growth, aka with the grain. To really get as close as possible you’ll want to repeat the process at least three times. If you have sensitive skin then at least two anyway. When you have finished the first pass, make a light layer of the wet cream on your face. You don’t need a thick lather, just enough to lubricate the face. Then the next pass should go perpendicular to the grain. Don’t go against it or you risk razor burn or even ingrown hairs when they grow back. Go at a 45° angle across the hairs this time. For the last pass, use your free hand and find the spots where there is still some stubble. If it is very light then you can go against the grain. If it seems kind of thick then go again at a 45° angle, but coming from the opposite side this time. Before you make that third pass, get a thin layer of lather on your face again. Once you’re satisfied that you’ve gotten as close as possible, you need to close up the pores and tighten up the skin. 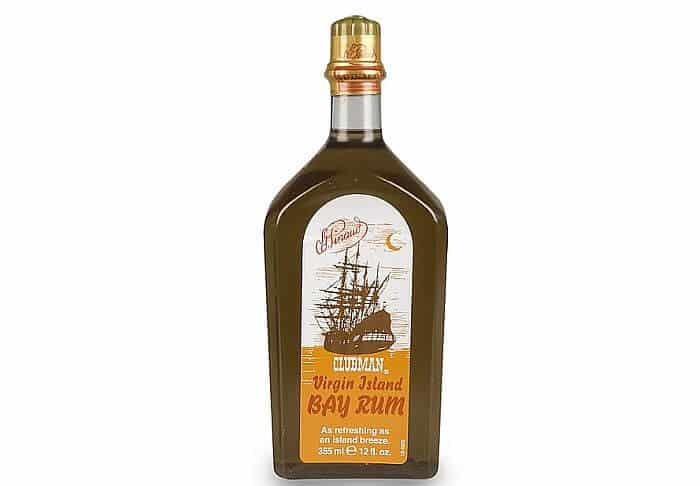 This will feel really good and also help the shave to feel much closer and smooth since the skin will essentially close over the roots of the hair. Splash very cold water on your face several times to wash off any remainder laher. You’ll know when you’re getting good at the wet shave when there is barely any lather left on your face as you only put enough in the areas where you’ll shave and it all comes off when you pass the blade over. Then put on some aftershave. Either a Witch Hazel or alcohol based one if you like that bracing burn, or a balm if you want a smooth and refreshing effect. If you restored a vintage razor or you bought one new, you need to keep it in good shape if you want to make sure you always get a first class shave. Whether it is after shaving, or for storing, make sure your razor is dry. After you’ve used it, wipe it down with a towel. To keep it dry make sure the spot where you plan to keep it doesn’t have any puddles or is in a very humid area. The best way to keep it is on a stand so it gets plenty of air. Before you put it away, you may want to give it a few passes over the strop to make sure the blade is aligned. Do a few passes on the canvas side and then flip it over and do the leather. Make sure it is very dry when you do the stropping. Make sure you strop it before every use. If it doesn’t need sharpening then you only need to do this on the leather side. Especially if you used the canvas side after the last shave. Hone it again when you feel like it has been tugging or if you felt some irritation from the last shave. If you are a beginner, then this irritation is likely due to human error, but if you have gotten the hang of the shave and had a period of close, comfortable shaves before the time you got some razor burn then it might be time to hone it again. I really hope this guide has given you the nudge you needed to give it a go and taught you how to shave with a straight razor. And I sincerely hope i didn’t scare you off the idea of restoring vintage straight razors. I do think there is a time and a place when it is worth it, but wanted only to temper your expectations. I know from experience as I had several vintage straight razors given to me and overspent getting the restored only to never use them or display them. If you’ve already tried to learn without success and feel like you’re never going to master how to sharpen a straight razor, then send it out ot be sharpened. Yes, it adds to the expense of owning a straight razor, but a professional will always make sure it is in good shaving condition. Do you have any questions on how to sharpen a straight razor? Drop a line in the box below. I love talking about shaving the old fashioned way so I look forward to the questions and comments.